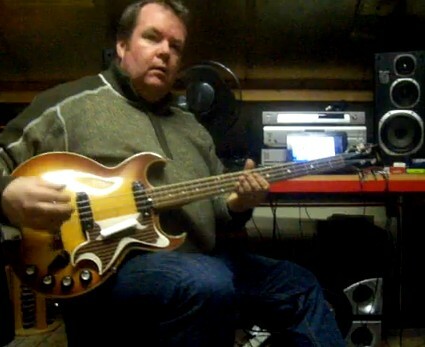 This electric bass is an EKO Florentine from approximately 1967. It was made in Italy. It's a double cutaway, thinline, chambered, hollow body made of maple. 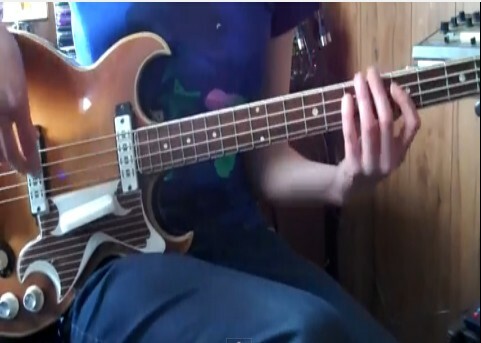 The guitar is a redburst and the entire thing is fully bound. 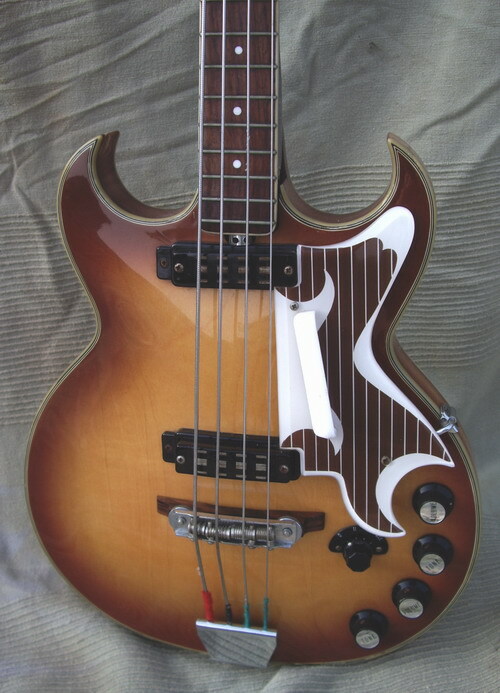 The details on this guitar are beautiful from the design on the pickguard to the inlays on the back of the neck. The fingerboard is rosewood. It has two pickups . 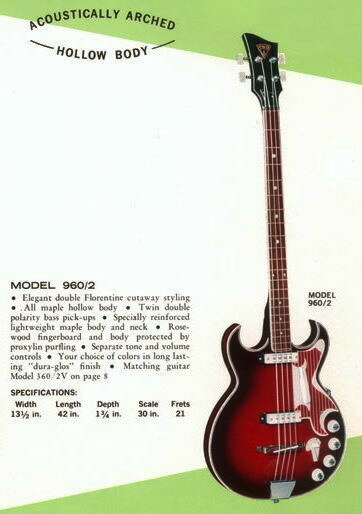 The bass is completely original; nothing has been modified. It is in excellent condition. All the electronics work correctly and the neck is straight. as you can see in the photos this is almost NOS (New Old Stock). It sounds and plays incredibly well! EKO made the Florentine models from 1964-1969. 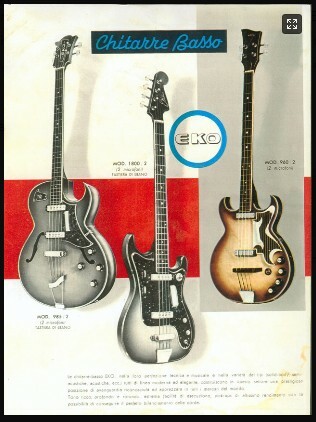 EKO started in the 1950s and made it's most interesting guitars up through the late 1960s. It continues to operate through today in various forms. 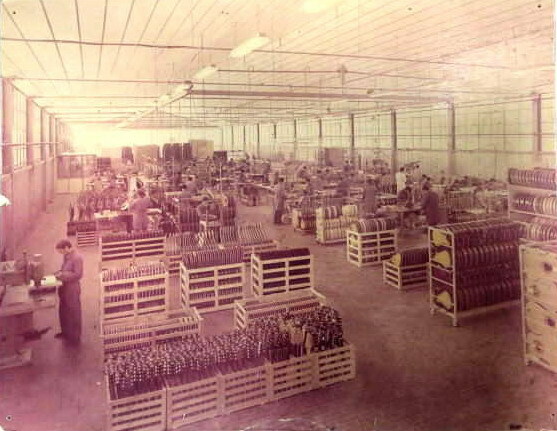 The guitars were built by Oliviero Pigini and Company in Recanati Italy and were initially imported into the US by LoDuca Brothers in Milwaukee Wisconsin. EKO also built guitars for Vox and Goya. This EKO is a unique combination of the really important features of both the acoustical and solid body guitar. The acoustically arched sound chamber body provides the performer with a great assortment of new sounds. High fashion Florentine cutaway. Hand selected white maple body artistically purfled with proxylin. 4 position Tone Selector. Double polarity twin pickups. 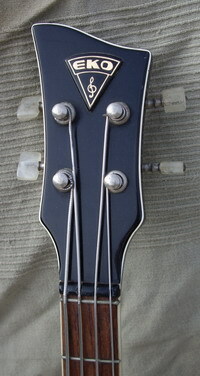 Compensating ebony bridge. Arched top and back. Rounded rosewood fingerboard. Deluxe machine heads. Pearl lucite guard plate.